Use this Cal-Mil 302-15 Turn N Serve 15" Colonial style sample tray / pastry tray cover to easily serve and display mouth-watering samples, pastries, or other treats at your grocery store, deli, cafe, market, or bakery. 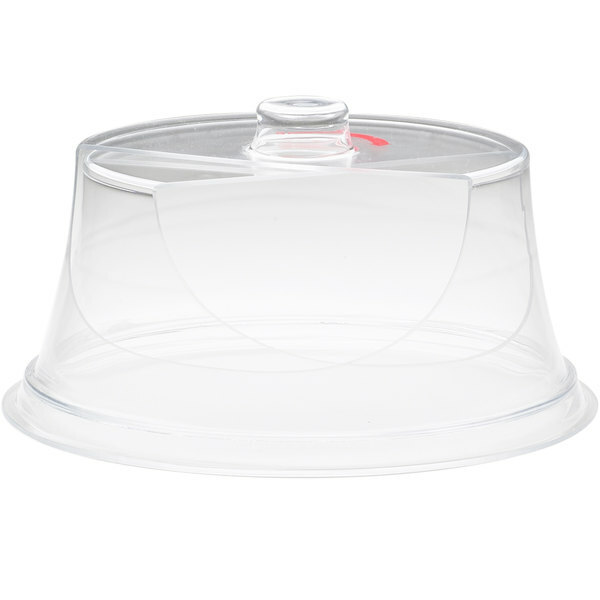 The Turn N Serve design keeps your products fresh longer by closing off the opening with a simple twist! To help make it easy for anyone to use, a red arrow on the top of the cover shows which way to turn the top in order to open it. It's designed to work in conjunction with other 15" Cal-Mil Turn N Serve products like the shallow and deep trays (sold separately). 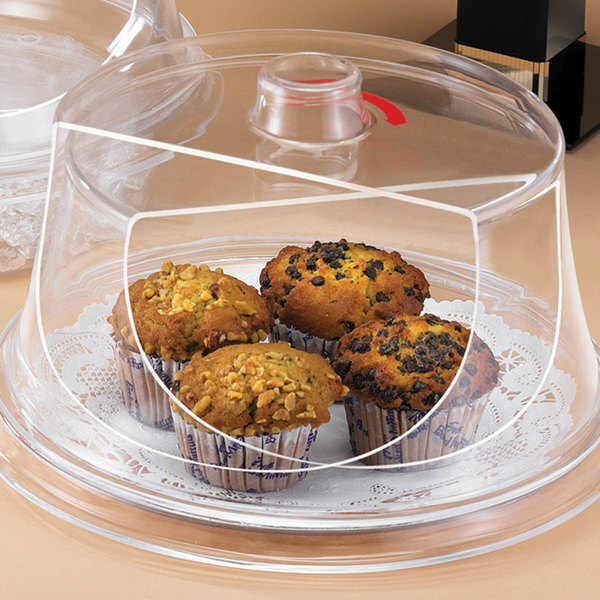 The durable acrylic construction ensures reliable use and easy cleanability, and the crystal-clear viewing is perfect for showing off your most colorful, exquisite treats, making it a great addition to your establishment. We ordered this to serve fresh cookies in our lobby. 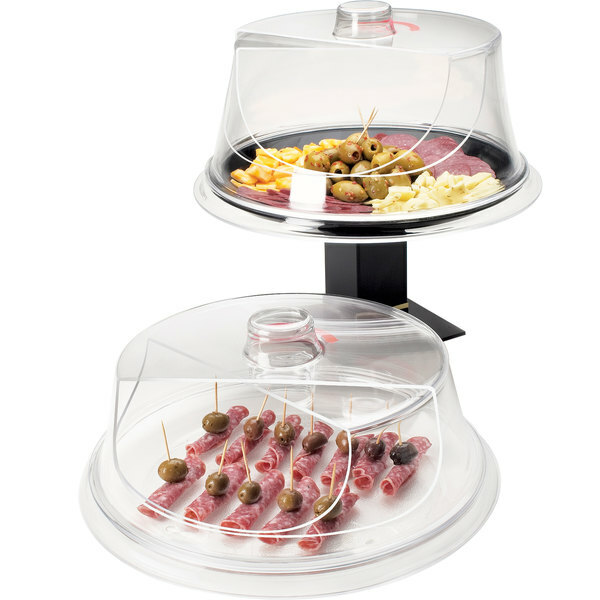 It displays wonderful, guests are able to see the cookies and easily spin the lid to access them.